Be sure to sign up for Spring Break Camp 2019. It’s a weeklong preview of the Summer Camp program. Click HERE to find your local center and get registered for Spring Break today! Discover Summer Camps Full of Possibilities! Summer is an exciting time in every child’s life—full of fun, friends, play, new experiences, and adventures! Everyone deserves cherished memories from their childhood summers. At Discovery Point, we want to become part of your child’s most beloved memories. Our summer camp programs are an exciting way for your child to get the most out of their vacation from school with plenty of learning, field trips, and fun. Discovery Point hosts a number of summer camps, allowing children the opportunity to enjoy new experiences and adventures! 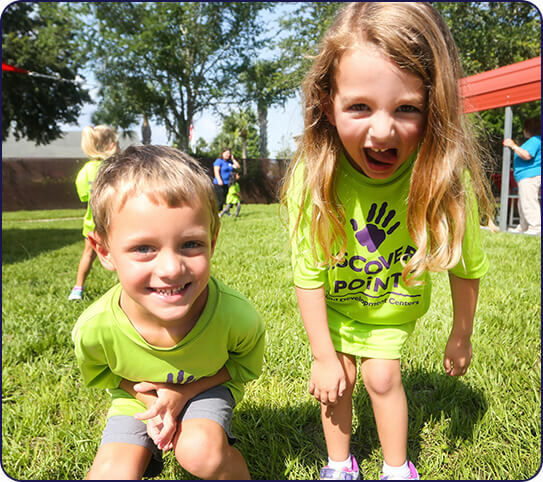 Every Discovery Point Child Development Center offers unique summer camps and enrichment programs, so be sure to call your local facility to learn more about the programs in your area. From reptile rescue to our own pets, our kids can make a difference in caring for animals! Use your noggin to find your inner superhero and use your noodle to create the best hero sandwich ever! The power of kindness and respect goes a long way in building new and lasting friendships! Week 4 – Mission: Sportsmanship Hothead by Cal Ripken, Jr.
Let’s build team work on and off the field with games and puzzle challenges! Supersized adventure as we follow Ms. Frizzle on a dinosaur dig! Super sleuthing skills are needed to uncover a summer camp mystery! From roller coasters to city skyscrapers, make imagination your super strength! The human body is an amazing machine! It’s a week of health and fitness with a summertime twist! It’s time to hunker down for a stormy weather watch with science and self-reliance! You don’t have to travel to Hollywood to become a Superstar! Celebrate being in the spotlight! 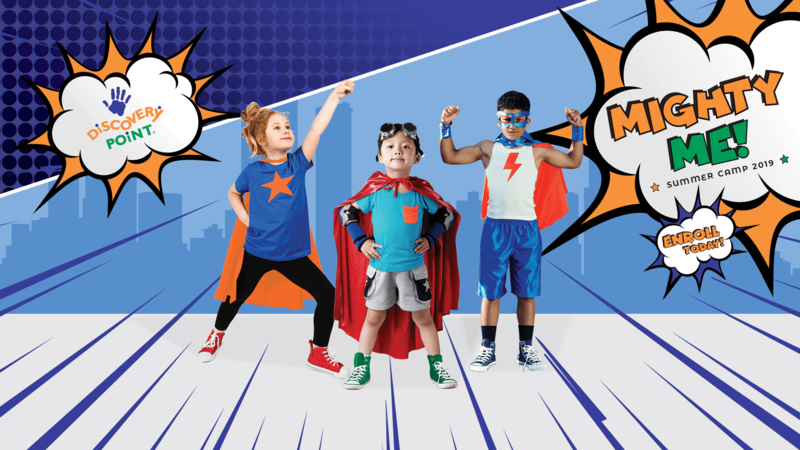 Get ready for some superhero summer fun with Discovery Point!